You’ve unboxed your beautiful new Apple Mac, iPad or iPhone and you want to get on and use it. You know the setup’s pretty straightforward, but there’s still choices to make, and you’re just a little bit uncertain. 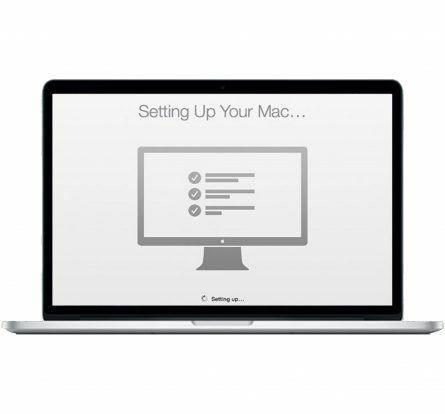 A Byte Of The Apple’s iOS & Mac setup service can help. As an experienced Apple Certified professional, I work with users throughout the South West of England, configuring all kinds of Apple desktop, laptop and mobile devices to meet specific system requirements. The family MacBooks, the department’s iMacs, the salesforce’s iPads, whatever they are, I’ll set them up right. Wi-Fi connections, search engine browsers, email set-up, application downloads, memory expansion, iCloud, printer drivers, anti-virus software, security … I’ll take care of it all, so you don’t have to worry. And you’ve data to transfer from your old machine? No problem, I’ll do that too. For the complete Apple iOS, Mac setup and deployment service, call Glenn at A Byte Of The Apple on 07973 559 813 or email glennhelp@mac.com. Make configuration even easier.